President Trump appeared to struggle with some words during a live statement at the White House Wednesday, mangling familiar phrases like "God bless America." 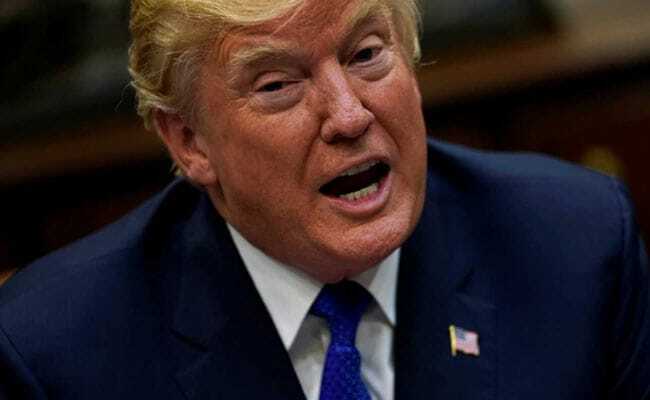 Washington: The White House described questions about President Donald Trump's slurred speech as "ridiculous" Thursday, but committed to releasing the results of a physical examination early in the new year. Trump appeared to struggle with some words during a live statement at the White House on Wednesday, mangling familiar phrases like "God bless America." "There were a lot of questions on that. Frankly pretty ridiculous questions," said White House press secretary Sarah Sanders. "The president's throat was dry nothing more than that." "He does have a physical scheduled for the first part of next year," Sanders added. "The full physical that most presidents go through that will take at Walter Reed (National Military Medical Center) and those records will be released by the doctor following that taking place." It is the first time the White House has committed to releasing records about the president's health, something his predecessors did regularly. Wednesday's incident came after persistent questions about his weight, mental health and whether he wears dentures. Some psychiatrists have flouted industry rules on diagnosing public figures to openly question whether Trump is suffering from dementia or narcissistic personality disorder.